Amazon's Alexa products could start playing adverts | What Hi-Fi? Your smart speaker could be about to slip adverts into Alexa skills, or suggest other products from companies based on your buying history. Amazon Echo products, including the Echo, Dot and Plus, could start promoting products in its responses to your questions, according to a report on CNBC. Companies such as Procter & Gamble, which owns various healthcare brands in the UK, and US-based Clorox have been involved in preliminary discussions, the report says. These adverts could be the audio equivalent of paid ads at the top of Google searches (or similar to that brief period when the Google Home advertised Beauty and the Beast). However, while it's easy to quickly scroll past a visual advert, it's unclear whether users would be able to skip these audio ads. According to the report, Amazon is looking to place adverts based on past shopping behaviour - suggesting products from companies you have previously purchased from. It could also put advertising into Alexa skills, so that anyone using a company's app would receive adverts for more products. However, an Amazon spokesperson said the company has no plans to add advertisements to Alexa. This isn't the first time rumours of adverts in Amazon's Echo speakers has come up. 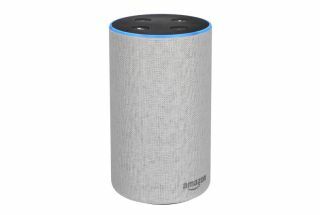 Last year VoiceLabs, a "Voice Experience Analytics" company said it was putting 15 second adverts into Alexa skills. Amazon denied collaborating with the company, but these rumours have raised the question of how protective Amazon will be of its hardware in future.